A lot of countries in the world in Asia, Europe, Africa, and America erected statues of President Ho Chi Minh to commemorate a world cultural celebrity. 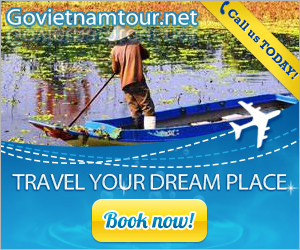 Now, we introduce meaningful stops in abroad in occasion of celebrating the 124th birthday of Vietnam’s late president Ho Chi Minh. Statue of President Ho Chi Minh and Ho Chi Minh Highway (Ho Chi Minh Sarani) in the city of Kolkata. 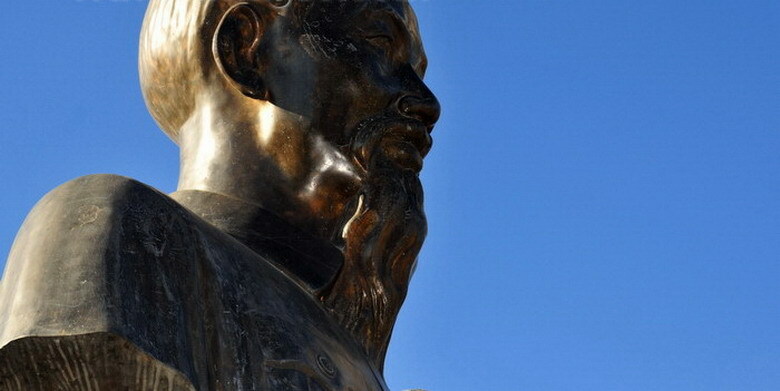 The bronze statue of President Ho Chi Minh is in 1.07 meters high, put on a pedestal of 3.33 meters high, paved with granite stones in Ho Chi Minh High School, the capital Ulanbato. Here, in addition to the statue, there are many documents and artifacts of life in revolutionary activities of President Ho Chi Minh, the friendly cooperation between the two countries Vietnam – Mongolia. The statue of Uncle Ho in Ho Chi Minh square is located in intersection of Dmitri Ulianov Street (name of elder brother of communist V. I. Lenin) and “60- year October Revolution Avenue. 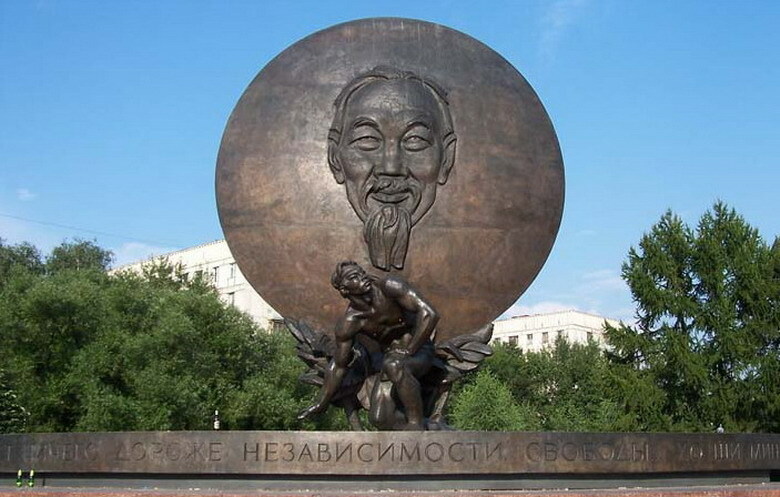 Ho Chi Minh Avenue and the statue of Ho Chi Minh in Zasviyazhski district, Ulyanovsk city, located near Volga River, about 893 km from Moscow capital on the east. 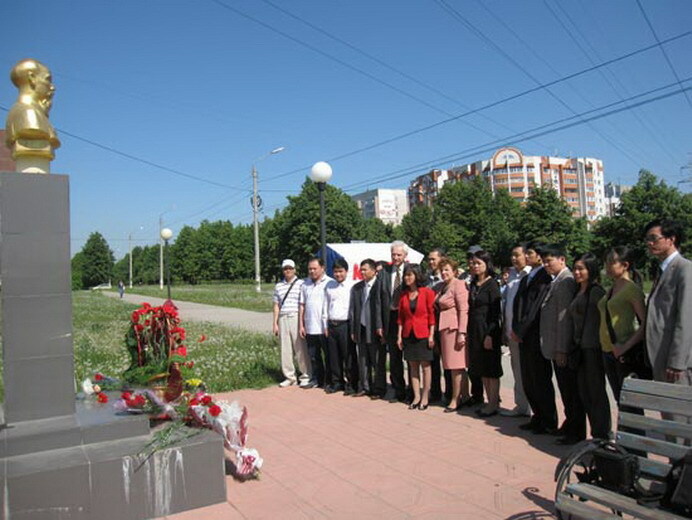 A memorial board marking activities of President Ho Chi Minh in the station of port city Vladivostok was inaugurated on the occasion of 119th birthday anniversary of President Ho Chi Minh. 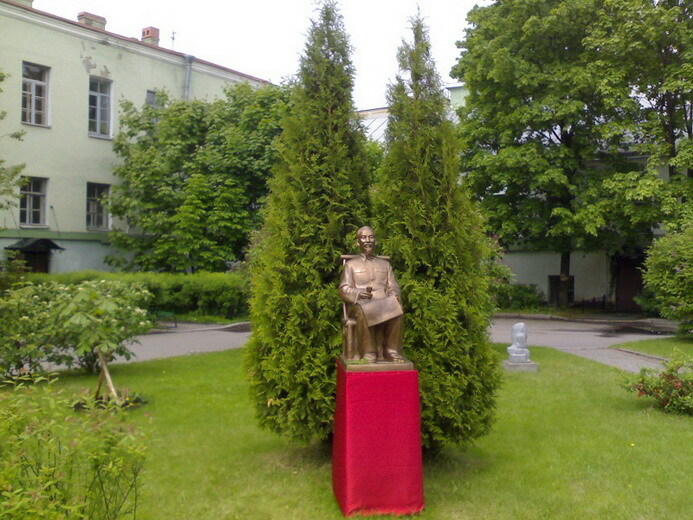 Ho Chi Minh Institute and the statue of Uncle Ho are placed on the campus of the Saint Petersburg State University, inaugurated on the occasion of the 120th birthday of Uncle Ho (May 19, 2010). The House number 9, lane Compoint, district 17, Paris capital is a place Uncle Ho stayed and did revolutionary activities from 1921 to 1923: participating foundation of “The French Colonial Union”, established the press Le Paria ( the miserable), etc. 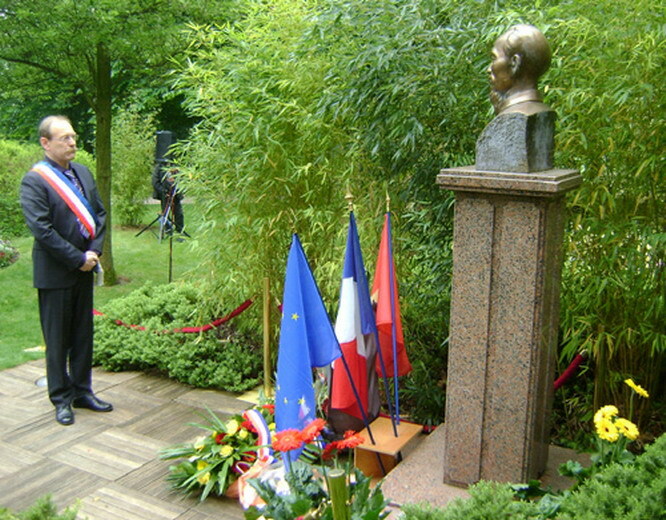 “Ho Chi Minh space” at the Historical Museum in Montreuil city (about 15 km from Paris on the east) is a place where preserves artifacts of Uncle Ho during time He lived in France. 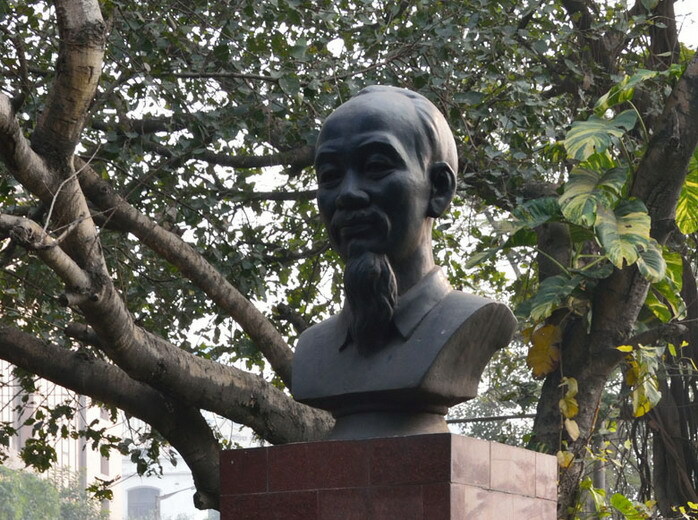 The statue of Ho Chi Minh is placed in the campus of the museum. Ho Chi Minh monument in Carleton hotel where Ho Chi Minh worked to earn money in late 1913 (Now is headquarter of New Zealand embassy in London capital). 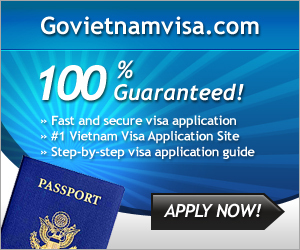 The statue of Ho Chi Minh is placed in Ho Chi Minh park in Antananarivo capital. The statue is made of bronze and put on granite pedestal with total height of 3.4 meters. There is a copper plate engraving Uncle Ho’s famous saying: Nothing is more precious than independence and freedom. Also, in Antananarivo has avenue name after president Ho Chi Minh. 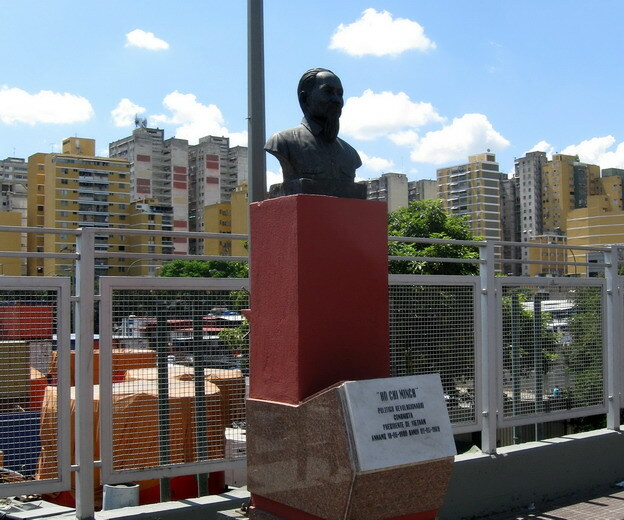 The bronze statue of President Ho Chi Minh at the Peace Park next to Highway 26, one of the most beautiful park in the center of the capital La Havana, was inaugurated in 2003, on the occasion of the 113th birthday of Uncle Ho. The statue of President Ho Chi Minh is solemnly placed on a high pedestal of 2 meters together with a flagpole with a yellow star and red flag fluttering on Simon Bolivar Avenue, capital Caracas. The statue was casted basing on the picture of photographer Dinh Dang Dinh when Uncle Ho was sitting to work in a garden of the President Palace. 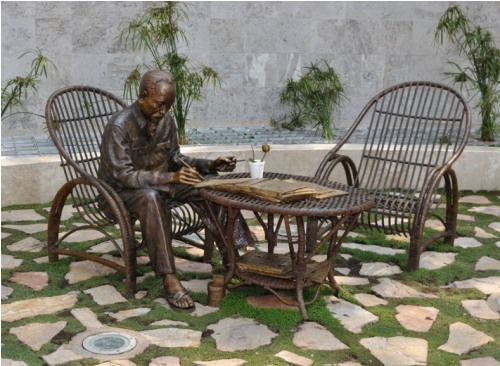 The statue of President Ho Chi Minh sitting on a simple rattan chair and table, behind the top is golden inscription “Nothing is more precious than independence and freedom” in Spanish with his signature, put in park “freedom for the people, “the capital of Mexico. Statue of President Ho Chi Minh in the city of Acapulco, Guerrereo state (southern Mexico) is located opposite the great national hero of Latin America Simon Bolivar, in Miguel Aleman Avenue, the main and largest boulevard in Acapulco city. It is in reality a nice and useful piece of info. I¡¦m happy that you shared this useful info with us. Please keep us informed like this. Thank you for sharing.